When it comes to delicious dining, South Florida has pretty much cornered the market. 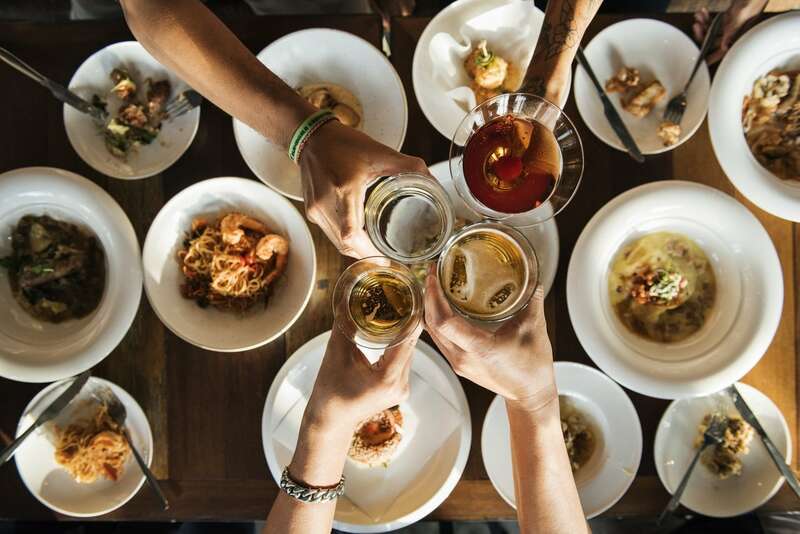 Not only is it home to some of the country’s finest seafood and Spanish cuisine, it’s bursting with all kinds of award-winning flavors and innovative dishes. In fact, here are our five favorite restaurants throughout the South Florida area. Lavish meals. Authentic Italian atmosphere. An unbelievable ambience. Those are three ways to describe the impeccable Casa Tua restaurant in Miami Beach. Featuring gourmet Italian food and an amazing wine list of hard-to-find treasures, this is one meal you won’t soon forget. When you visit, we highly recommend trying the Veal Milanese. At the end of the night, say goodnight with some delicious handmade gelato or some tiramisu. Prepare for the meal of a lifetime at Zuma. Start the night off with a phenomenal cocktail like the Rikka and Tonic before sampling some of their appetizers. 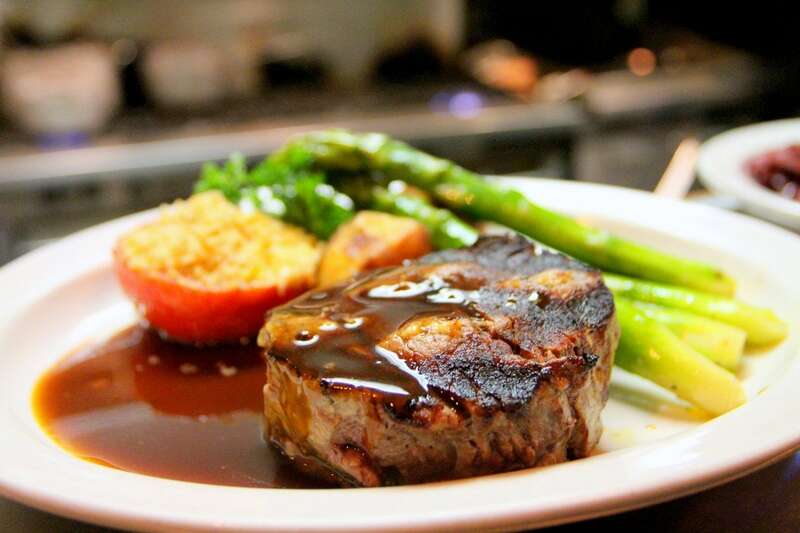 Ask your server for a recommendation, you won’t be disappointed. The sushi rolls are deliciously fresh and everything is prepared to the highest standards imaginable. The soothing ambiance perfectly complements the amazing good. Some highlights include the seared beef with pickled daikon and fresh truffle dressing, as well as daily maki. 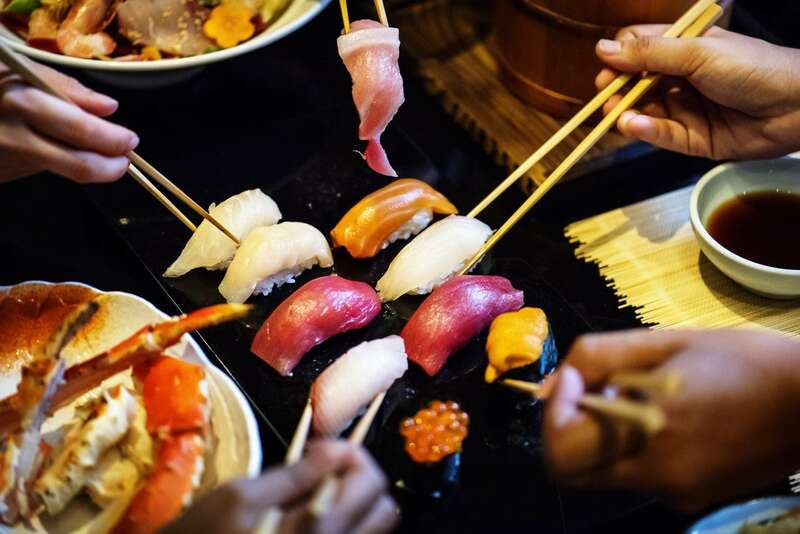 Critically acclaimed for its world-class sushi and innovative Japanese-Peruvian fusion, Nobu is a must-try in beautiful Miami Beach. Located in the Eden Roc Resort off of Collins Avenue, this is the perfect place for a celebration, an anniversary dinner, or a quintessential “treat yourself” kind of meal. The breakfast buffet in particular is legendary. Specially designed by Chef Nobu Matsuhisa himself, it offers something sweet, something savory, and just about everything in between. Some must tries are the Black Miso Cod, the Yellowtail Sashimi, and the Green Tea Chicken and Waffles for breakfast! It’s not just dinner, it’s a destination. 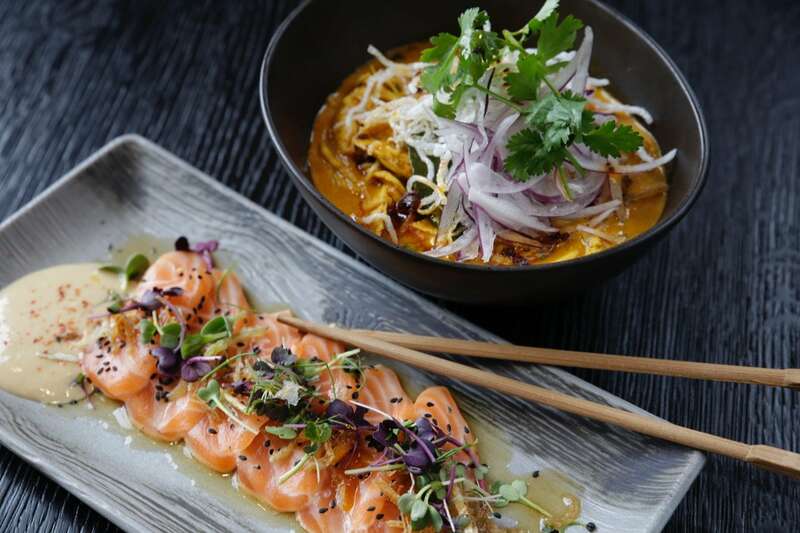 Komodo is a delightful Asian-fusion restaurant with amazing ambience and incredible food. Try to get a seat at the two-story outdoor patio area, complete with giant birds nest hovering over the first floor. For the appetizer, enjoy the crispy rice hamachi and grilled avocado. Next, the Korean fried chicken is to die for, as is the miso salmon. The duck bahn mi is another worthy contender. My recommendation? Bring some friends and share everything! 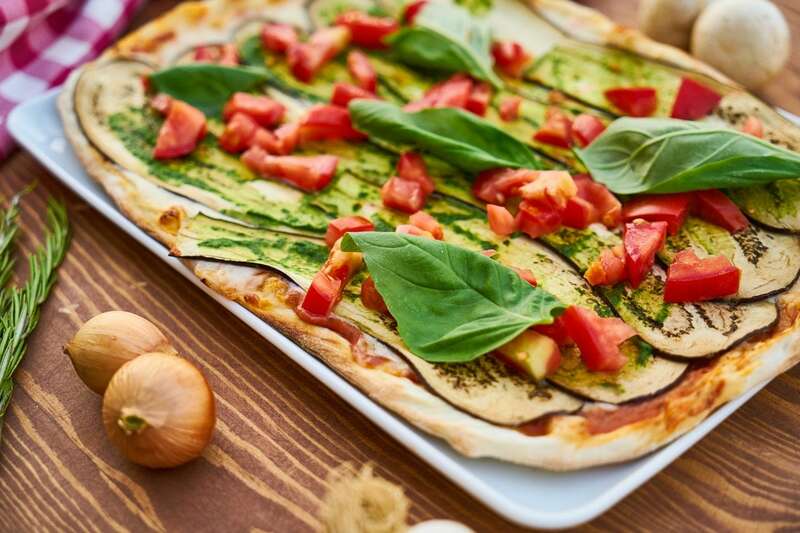 There’s just something about Italian cuisine—and Valentino’s does it just right. Authentic, delicious, and always flavorful, Valentino’s Cucina Italiana in Fort Lauderdale is perfect for date night or every night. Start with the foie gras panzotti starter and end with vanilla Panna Cotta. For everything that comes in between, ask your server for their recommendation. The service here is almost as impeccable as the food! Want to Spend the Summer in South Florida? 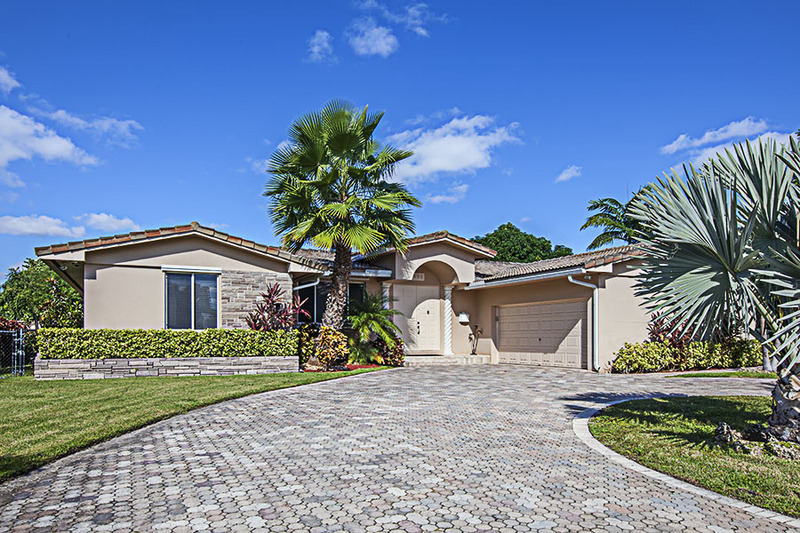 Allow our team to help you find the home of your dreams in South Florida! Just give us a call today to get started, or peruse our free home-buying resources. 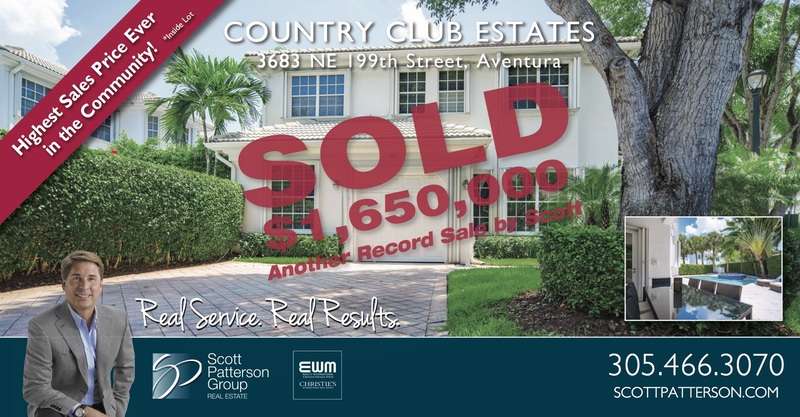 Record Sale Price for Aventura Home, Another Record Sale By Scott! 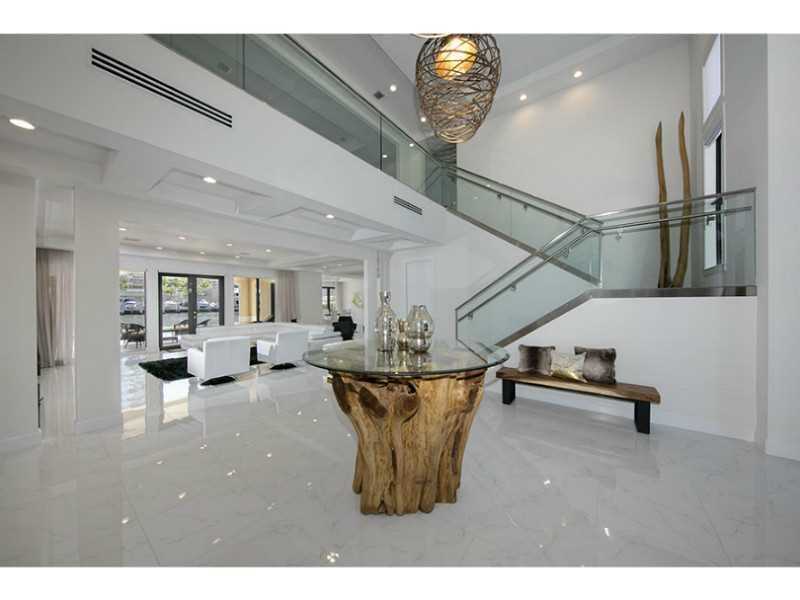 The home at 3683 NE 199 Street in Country Club Estates, also know as Aventura Estates closed on October 24, 2016 for a record selling price of $1,650,000. 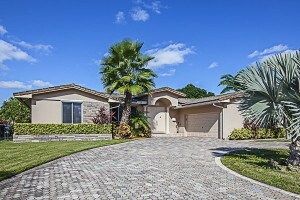 This price will mark the highest sales price ever in the 80 home gated community along Country Club Drive. The home was not on the golf course nor did it grant water views, it was an inside lot surrounded by foliage. The two-story home featured 4 Bedrooms, 4 Baths and a one-car garage. Country Club Estates Community Info! Country Club Estates is the only single family home community located directly on world renowned Turnberry Isles Resort & Golf Club in the heart of the City of Aventura. 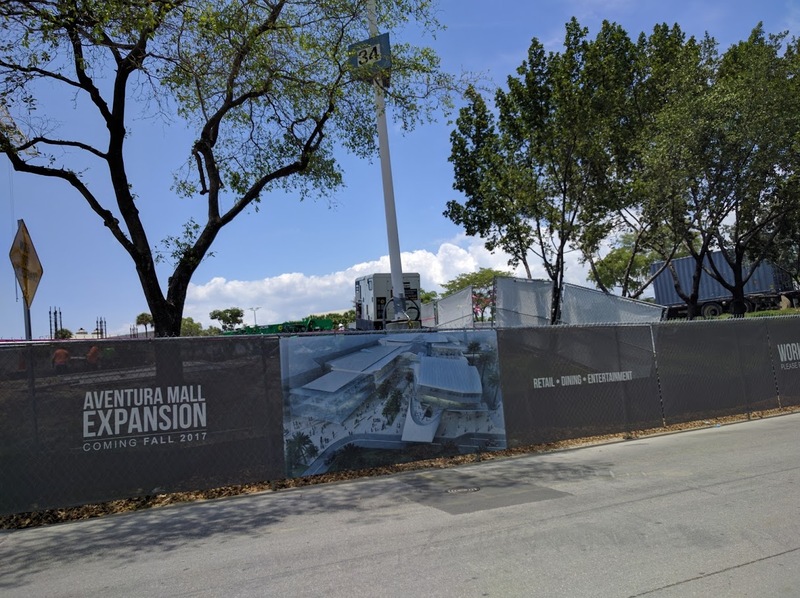 Homes range in size from 2,600 to 5,500 square feet, popular for families and all about location with walking distance to Aventura Mall or a close by synagogue. The homes offer luxury, elegance and space for entertaining your entire family and all your friends year round. Watch HD Video of Country Club Estates! 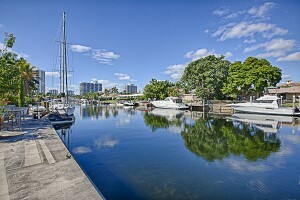 Looking to Buyer or Sell a Home in Aventura or South Florida, I would be happy to assist. The residents in Hollywood are all rejoicing in the demolition at 1010 S. Northlake Drive. This property was dangerous, a nuisance, and above all a detractor from property values in the area. The developer and builder have arduously advocated for this demolition for quite some time and it will free up a waterfront lot, permitting a new home to be built. This land is coveted and the plot is large enough to accommodate a home of considerable size. For more information on this land and for information on vacant land in Hollywood, contact me today. I am thrilled to report to you that EWM Realty, has won another accolade here on the South Florida real estate market. 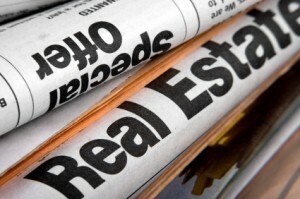 Evidently, EWM ranks #1 in total overall sales of million-dollar plus homes in Miami-Dade County. This is an incredible honor, especially given how competitive the luxury home market can be here in South Florida! As of the period ending August 31, EWM had 41 transactions in excess of one million dollars, compared with 31 and 18 respectively for the second and third ranked brokerage. EWM was #1 for the fiscal year August 2012-August 2013, with 429 sales in excess of one million dollars, compared to 336 and 283 for the second-and third-ranked brokerages. 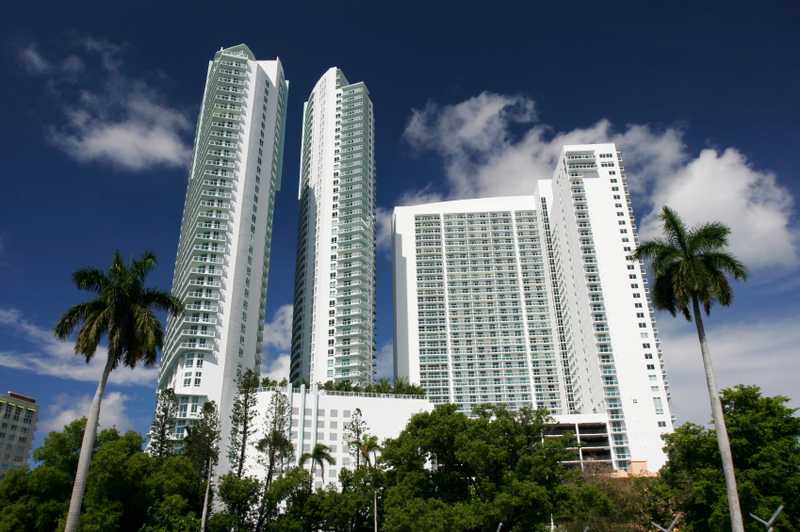 EWM has been a leading Realtor this year in the pre-sale of Miami-Dade’s newest luxury condos, most of which will be completed over the next 12 to 24 months. 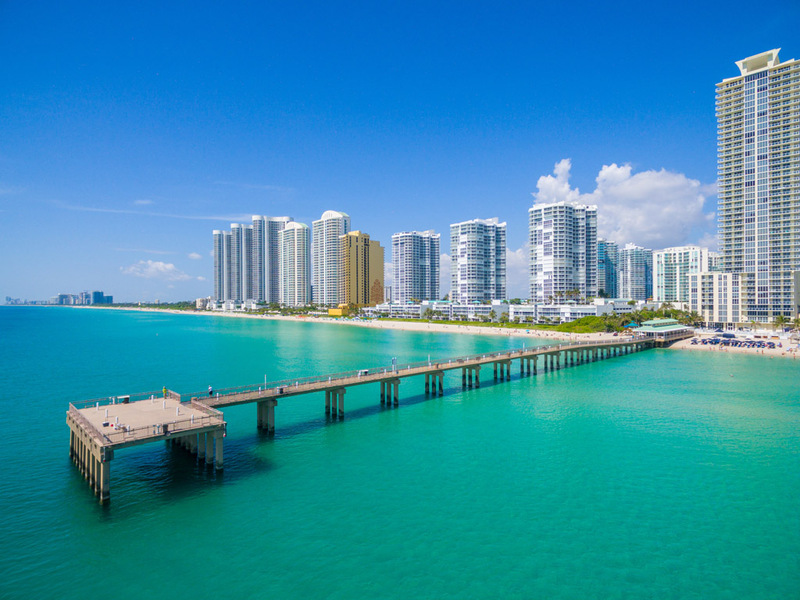 As you may know, EWM Realty is the exclusive affiliate of Christie’s International Real Estate for Miami-Dade and Broward counties, as well as a Berkshire Hathaway affiliate, which provides EWM access to thousands of real estate professionals across the globe. Because of these important connections, EWM offers unbeatable service to home buyers and home sellers navigating the South Florida real estate market. Contact me, Scott Patterson, today to see how I can help you! 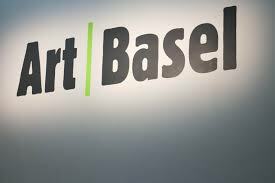 Art Basel is the second largest arts fair in the world, second only to Art Basel, in Basel Switzerland. It occurs annually and draws hundreds and thousands of spectator, artists, art dealers, and art collectors. There are literally hundreds of events and attractions during the fair and it takes place in large tents on both Miami Beach and in the Design District. This arts mecca lasts for only 5 days and it is one of the largest revenue generators for South Florida. Here are some of the most highly anticipated attractions, please note the show dates as Art Basel runs officially from December 5-9, but many events are open sooner! Art Miami is located in the Midtown neighborhood and carries art from over 125 countries and galleries. It is on its’ 24th year and is the longest running art fair in the city. It contains some of the most important contemporary art in the world. It runs from December 3-8. Design Miami features the worlds top designers, curators, and collectors to the location outside the Miami Beach Convention Center. There are 35 design galleries from 9 countries exhibiting 20th and 21st century furniture, lighting, and architecture. This fair takes place from December 4 to December 8. 630 Hibiscus Drive is an idyllic waterfront home in the Golden Isles community of Hallandale Beach. This home is ranch style and has 3,078 square feet of interior space on a generous waterfront lot. It contains four bedrooms with three and one half baths and has an oversized kitchen. Some of the other stand out features are plentiful oversize master suite, salt water pool, French doors, and much more which I have listed below. This home is ideal for a family that enjoys nautical pursuits, since the home has a concrete dock and there are no fixed bridges to the ocean. For more information on this listing, please contact me!